The Consortium partners are all considered among the leading centres in their specific fields: journalism, political science, and communication & media studies. By working closely together all partners reinterpret and combine their specific fields of expertise in new ways. The Mundus Journalism programme is developed and structured by researchers with established international profiles and is continuously evaluated and improved in close cooperation between all Consortium partners. In addition, Mundus Journalism graduates make significant contributions to comparative research and global journalism studies in a variety of settings. We believe that this success is the result of each partner focusing on research that feeds into the concerns of both academia and the industry and this, coupled with the continued focus on global processes, produces graduates with profiles that are uniquely tailored to the global media landscape. Research-based teaching and learning is integrated into and enhanced by the exchange of knowledge and understanding between, on the one hand, researchers/lecturers and, on the other, students informed by a variety of cultural and practical experiences. 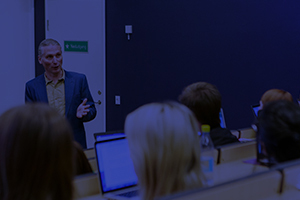 One such example of an integrated approach to research training during Mundus Journalism is the Analytical Journalism module, which is run at the end of the second semester in Aarhus. Students learn to integrate the theory and methods of communications research with journalistic inquiry, producing a long form piece of journalism that is underpinned by reflexive research. Students and researchers from the Consortium also participate in and meet at various conferences, e.g. the International Communication Association (ICA), the International Association of Media and Communications Research, the European Communication and Education Research Association (ECREA), the World Journalism Education Congress, the European and Nordic Journalism Training Associations, the Journalism Education & Research Association of Australia and The Future of Journalism conference at Cardiff University. At these conferences students occasionally also participate to present their work. These conferences are actively used to discuss new partnerships and possible contacts.